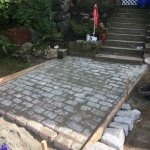 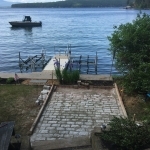 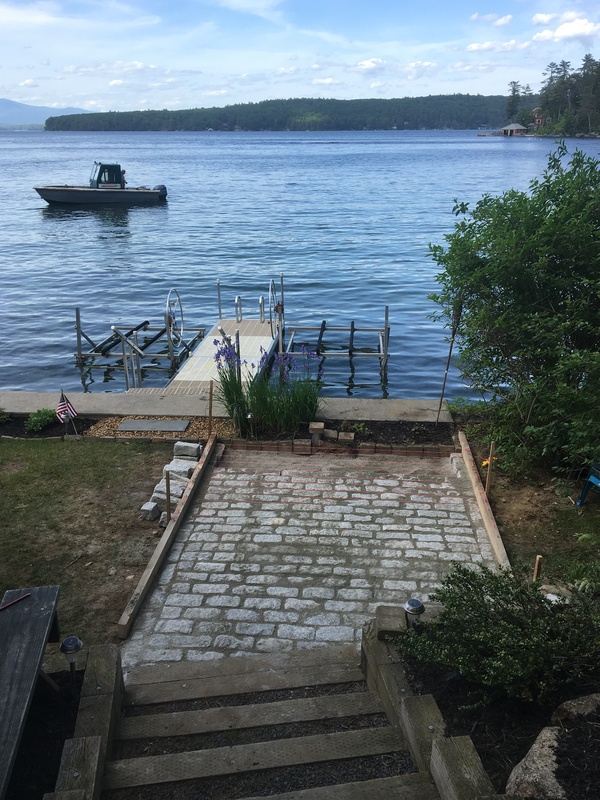 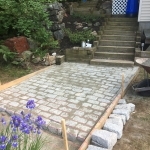 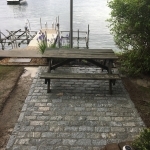 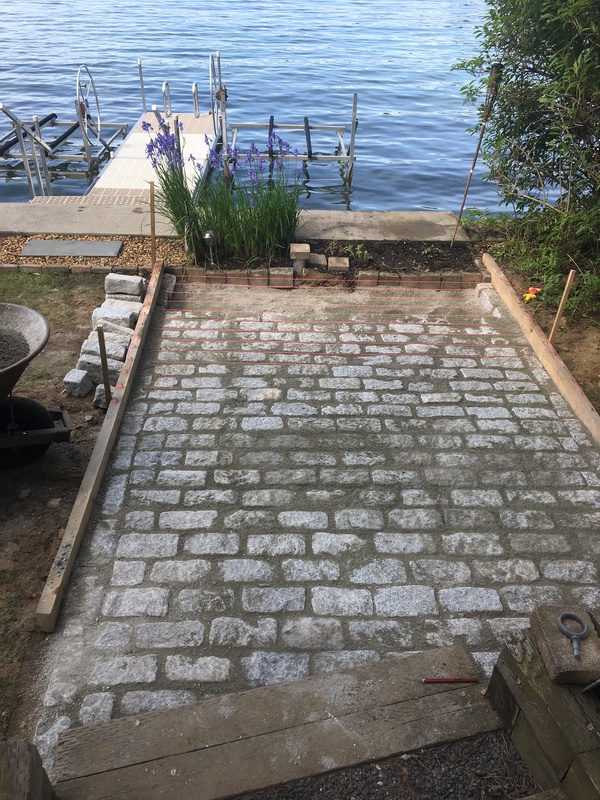 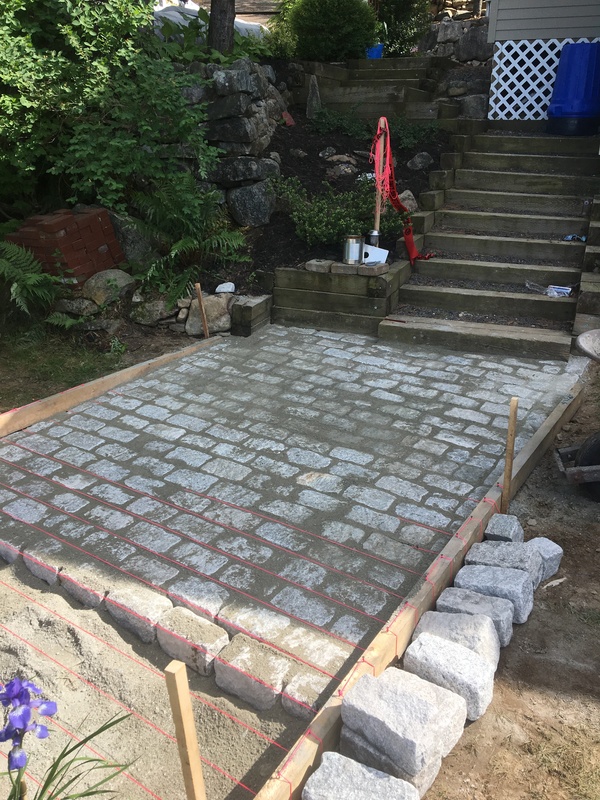 Installed granite cobble stones to make a patio area. 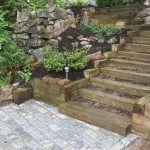 This property has a very small yard, with one area that is shaded and grass never grew. 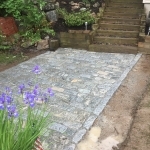 After a summer rain shower this area would be muddy and just a mess. 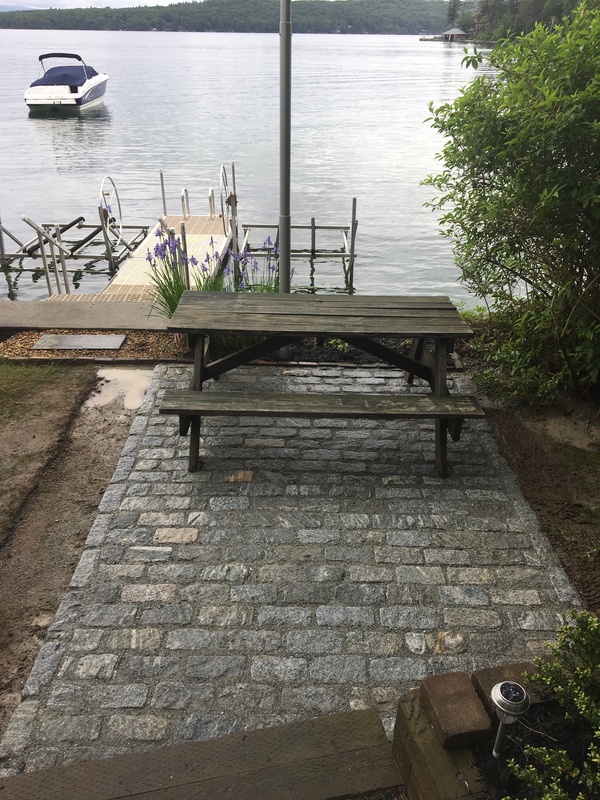 The homeowner wanted to create a patio area where they could keep the table, so even after a rain shower the family could enjoy the outdoors. 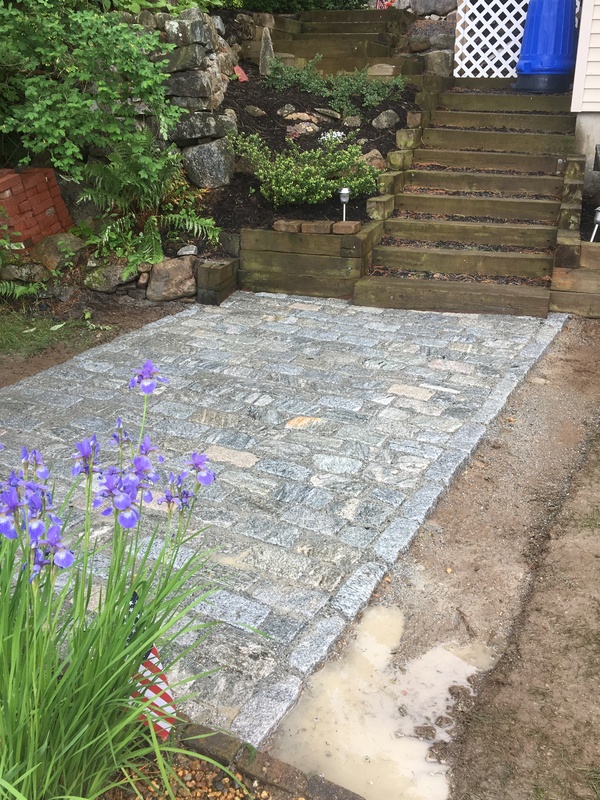 The area selected for this patio was excavated of all the top soil. 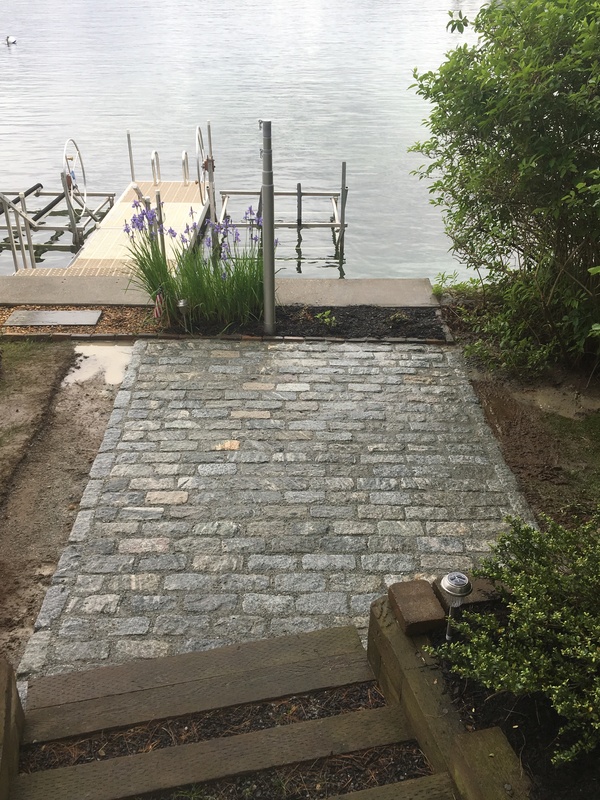 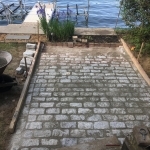 We brought in stone dust that the granite cobble stones would be bedded in, stone dust is such a great material to use for projects like this, because once it is wet it compacts very well. 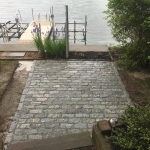 Issue: The property has a very small yard, since it is on the shore of Lake Winnepesawkee. 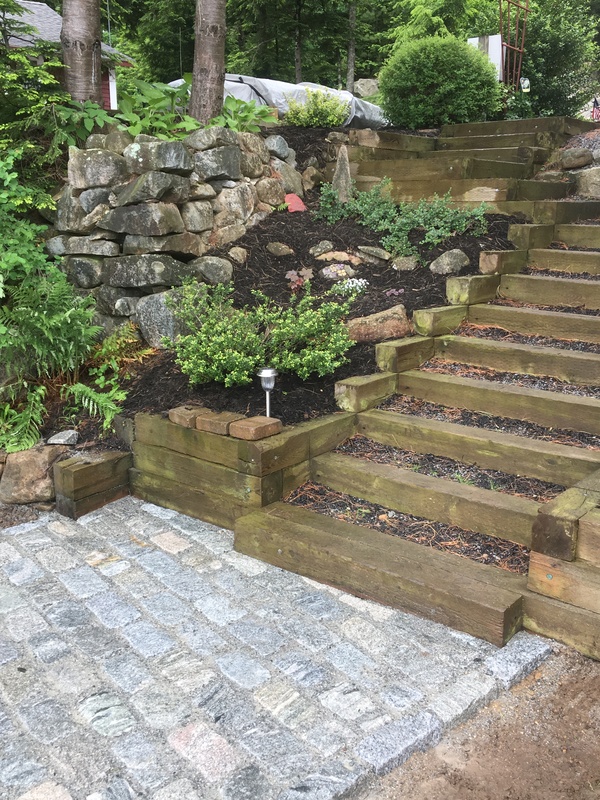 The Homeowner still wanted a grassy area, but he wanted the patio area to cover the yard where grass doesn’t grow. 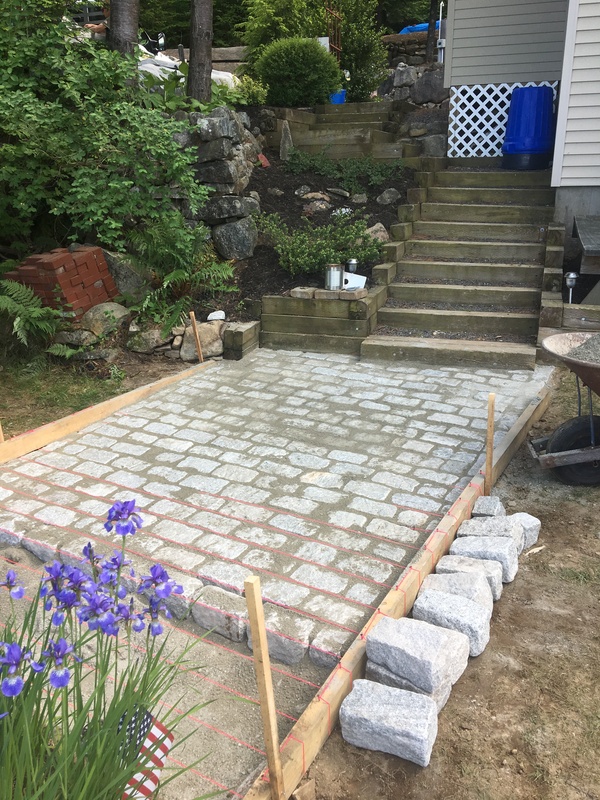 Solution:To allow for the yard to look aesthetically pleasing, the patio areas width was shortened to follow the edge of the houses foundation, but still took in the wants of the homeowner.